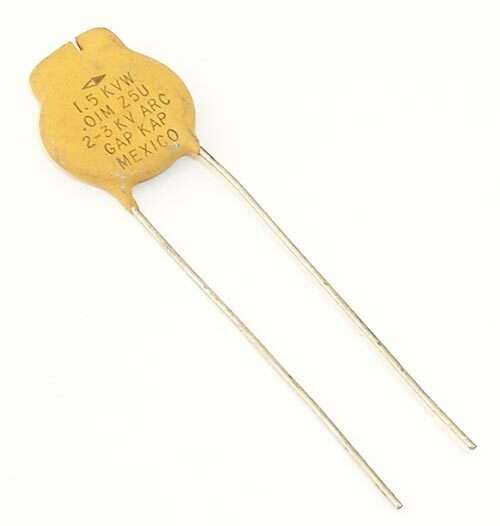 The S103M69Z5U283L0 is a Gap-Kap capacior. It is comprised of a ceramic disc that has had both sides silver plated. These capacitors have straight leads made of tinned copper. A Gap-Kap capacitor offers a a safe reliable discharge path for stray transient overvoltages and static voltage build-up. Dissipation Factor: @ 1 kHz, 1 +/- 0.2V (RMS): 2.5% max.